Homes for sale in Orchard farms are located off of Batesville Road, near Romper Mountain Road. This is a charming subdivision of 450 homes outside of Simpsonville, South Carolina. There is easy access to the City of Simpsonville via the I-85 and I-385. Homes here have immaculate surroundings, set on quarter acre lots with mature trees and ample yard space. This neighborhood started taking shape in the 1990’s and many Orchard Farms homes for sale were built by Ryland Homes. This is an attractive neighborhood for families, couples and retirees alike. Homes in Orchard Farms are great to come home to. Browse through homes for sale in Orchard Farms, or read more about Orchard Farms real estate. Orchard farms real estate is considered to be part of Simpsonville, in the heart of the Golden Strip in South Carolina. Rolling hills and ample greenery create a lovely setting for these beautiful homes. The houses in Orchard Farms range from 1,700 to 3,000 square feet in size and have been designed in a traditional style. Many homes have one story, multi-level, basement or two story layouts, all with plenty of space for you and your family. Situated along the quiet winding roads, many homes have brick façades or side paneling and gabled roofs. 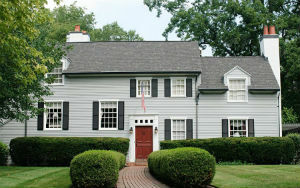 Several Orchard Farms houses have colonial inspired designs with symmetrical layouts and large square windows. This community has great amenities that include a lap pool, playground, clubhouse, baseball field, tennis courts and volley ball nets for residents to enjoy. Being active is a way of life for Orchard Farms homeowners. This neighborhood has been assigned great schools that include Oakview Elementary, Beck Academy Middle School and J.L. Mann High School. Learn more about Orchard Farms homes for sale and contact us RE/MAX Moves today.